Now Zong Users Can Enjoy Free Uber Rides and Discounts . Pakistan’s No. 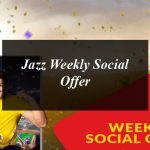 1 Data Network, Zong 4G and the world’s biggest ride sharing application Uber have partnered to bring a promotion exclusively designed for Zong subscribers. The promotion is intended to provide Zong customers with better accessibility to services of the global ride-hailing giant, adding convenience and delight to their everyday lives.